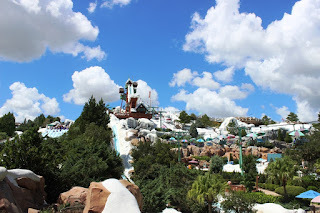 Several weeks ago we talked about the top ways to relax at a Disney’s brand of water parks. 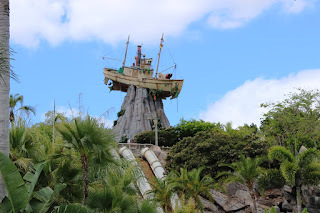 I hope that rest gave you time to gather up your nerves, because today we’re setting off to explore some of Typhoon Lagoon and Blizzard Beach’s best thrills. Actually, you may want to look back at those ways to relax, because once we’re done here, you’re definitely going to need some recovery time! 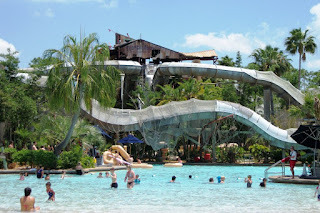 Storm Slides – These three twisting and turning slides at Typhoon Lagoon give three very different experiences for guests looking to slip and slide their way down Mount Mayday. 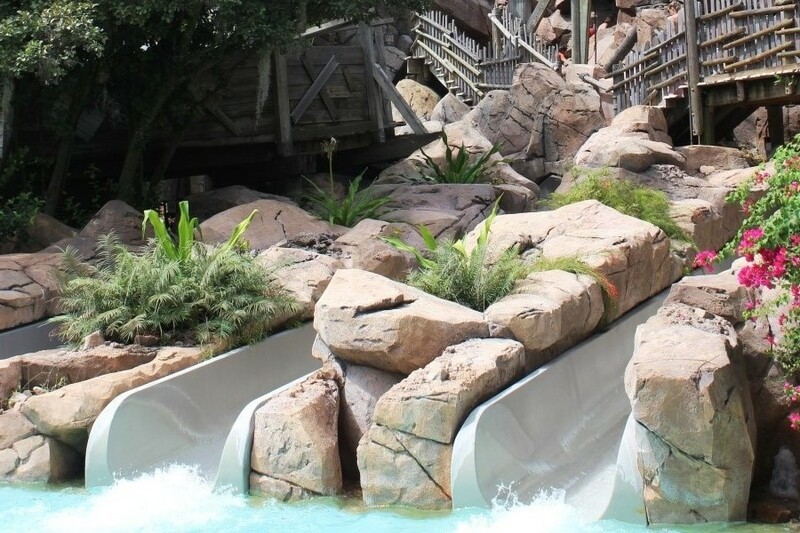 The Storm Slides are known individually as the Jib Jammer, Rudder Buster, and Stern Burner, and each make a nice way to ease yourself into the thrills side of Typhoon Lagoon. 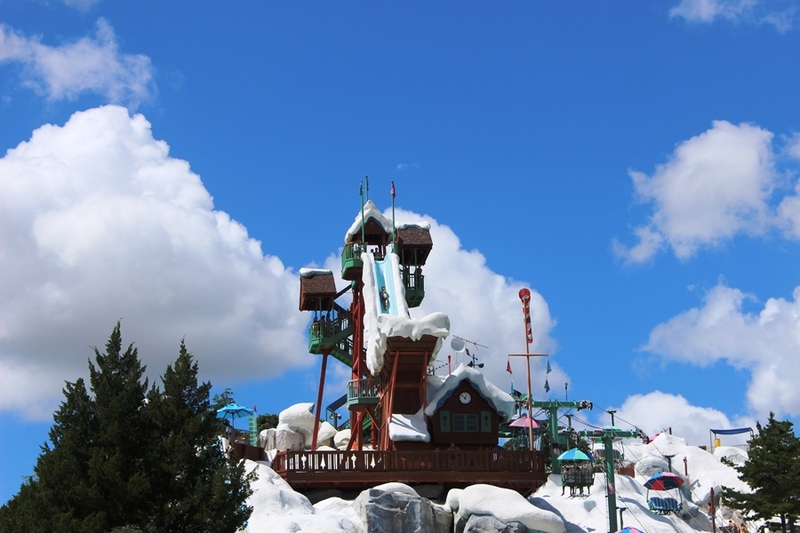 You may not notice all of the lovely scenery you speed by, but you’ll definitely know when you splashdown! 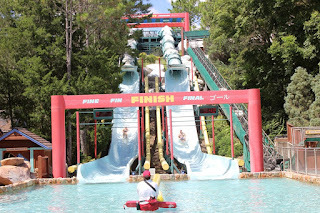 The walk up to the Storm Slides also includes my favorite vignette and gag from either water park! 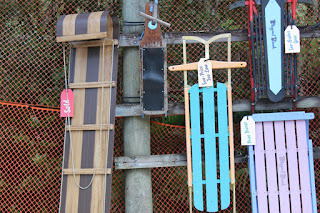 Toboggan Racers – Eight lanes, careening down the speed slopes of Mount Gushmore, with nothing but a foam toboggan between you and the slick slide. Oh, and there’s likely to be some smack talk amongst others in your group as you try to outdo one another in a race to the bottom of the hill. It is one of the only thrill attractions in Disney’s water park repertoire that allow you do go down the attraction head first. 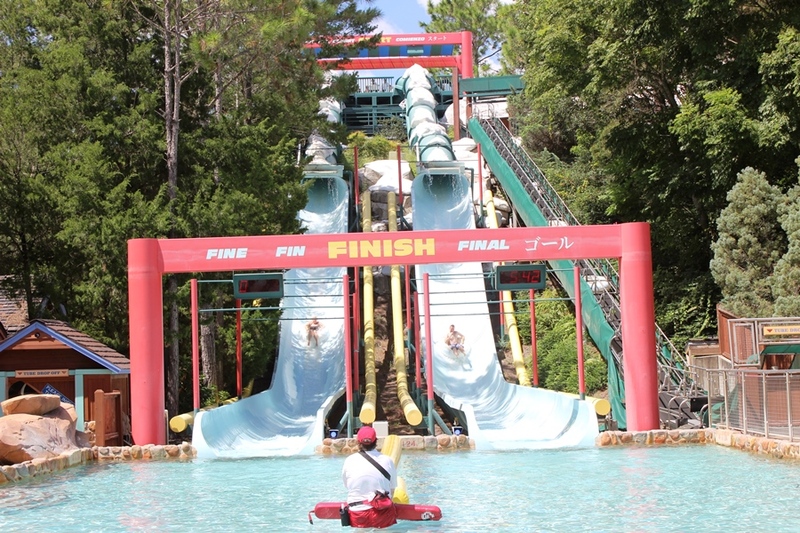 Downhill Double Dipper – You may not be first, but you also won’t be last, when it comes to the Toboggan Racers at Blizzard Beach, but with the Downhill Double Dipper you’ll either be the winner or the loser. Tubes plummet through identical tunnels after the gates drop and you’re off to the races. This attraction is one of those blink and it’s over attractions, but it also brings with it the thrill of competition! 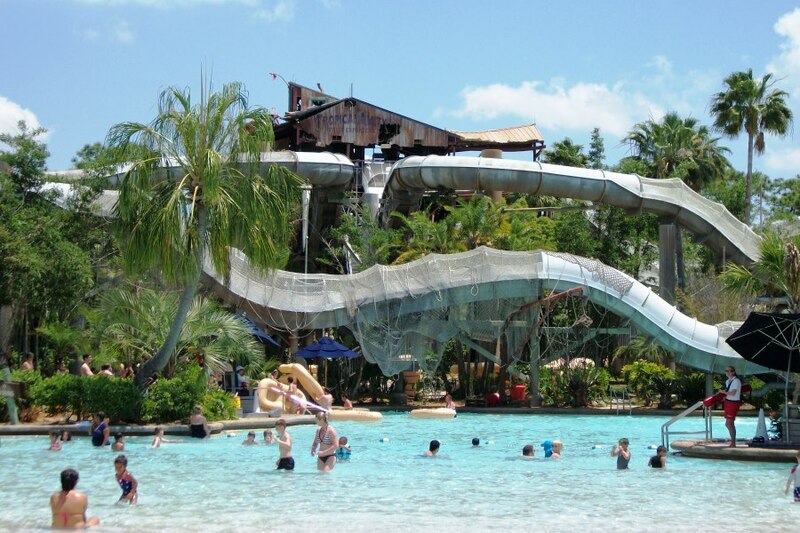 Crush ‘n’ Gusher – A set of three water coaster slides at Typhoon Lagoon, tucked away in Hideaway Bay, send you and a friend or two up, down, and around through the abandoned TropicalAmity fruit warehouse. 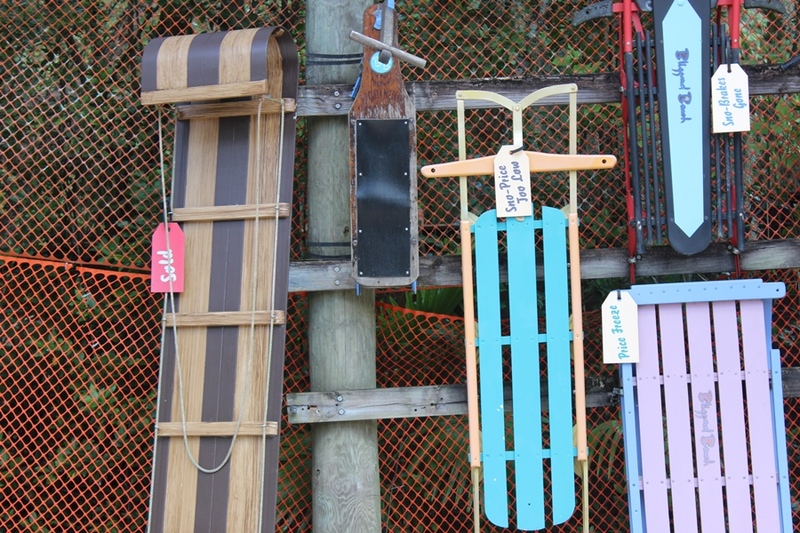 As a nod to the former fruit exporters, the slides are named Banana Blaster, Coconut Crusher, and Pineapple Plunger. For those on a solo mission, the Banana Blaster is the only way to go, and it will sending you skipping like a stone across the bay. Humunga Kowabunga – Typhoon Lagoon’s five story marquee thrill attraction. Triple enclosed body slides, send you screaming down the side of Mount Mayday. It will be over before you know it, but that first push-off is where it’ll take all of your nerves. You’re not quite parallel to the slide, but with a 60-degree angle, you’ll definitely feel a little lighter coming down. Summit Plummet – If the five stories of Humunga Kowabunga makes you cringe with fear, then the idea of Summit Plummet’s 12 stories ski-jumpesque will likely make your knees turn to jelly. Over double the length of Humunga Kowabunga, quite a bit in the slow down lane at the bottom of Mount Gushmore, you will definitely have time to regret your decision on the way down. Slush Gusher – This is seemingly the second largest thrill at Blizzard Beach, considering the facts that its starting point is lower than Summit Plummet and that it isn’t a straight down drop, but this one offers something a bit more terrifying to me, air time! With a steep slope into double hills, you will come off of your slide and catch some air, something that still takes my breath away every time it happens.